How is Silver Bullion made? Before we get to the physical silver bullion we buy and sell here at SD Bullion, you might be asking yourself firstly: How is silver made? According to recent scientific discovery, the origin of silver bullion begins with colliding twin neutron stars and or single star supernova events. Expoding stars produce heavy precious metals like silver ( you can watch an illustration here ). Silver and other precious metals ores eventually traversed across space on asteroids until ultimately colliding with the Earth infusing its crust with silver and other various precious metals. Silver ore bodies tend to be found with zinc deposits, this is one reason why most silver ore is mined not by silver-only miners, but as a byproduct of zinc and base metal miner outputs. In fact about 70% of silver is mined as a byproduct of other industrial and precious metal mining efforts. 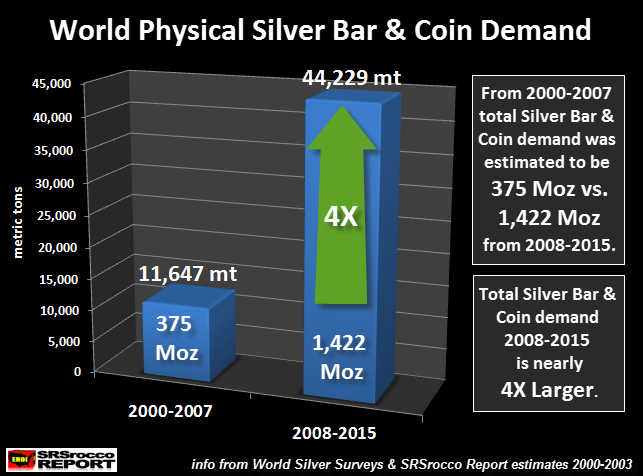 Only a tiny amount of silver bullion comes from ‘silver-only’ mining efforts. See for yourself how difficult and complex the silver mining process is. How much Silver has been mined in history? Just over 48 billion ounces of silver has been mined in history. Based on the fact that silver is found in the ground at a rate of about 8 parts silver to 1 part gold, it is conservative to estimate we humans have mined about 1.5 million tonnes of silver throughout history. All time gold mining output is almost all entirely with us today (estimated at 187,200 tonnes), yet conversely most of the near 50 billion silver ounces ever mined are not. The vast majority of the silver we humans have mined is now in landfills or in slim unrecoverable amounts in industrial applications, artwork, and jewelry. Less than 20% of the world’s annual supply comes from silver scrap recycling. The vast majority of new line silver has to be dug from the Earth every year. 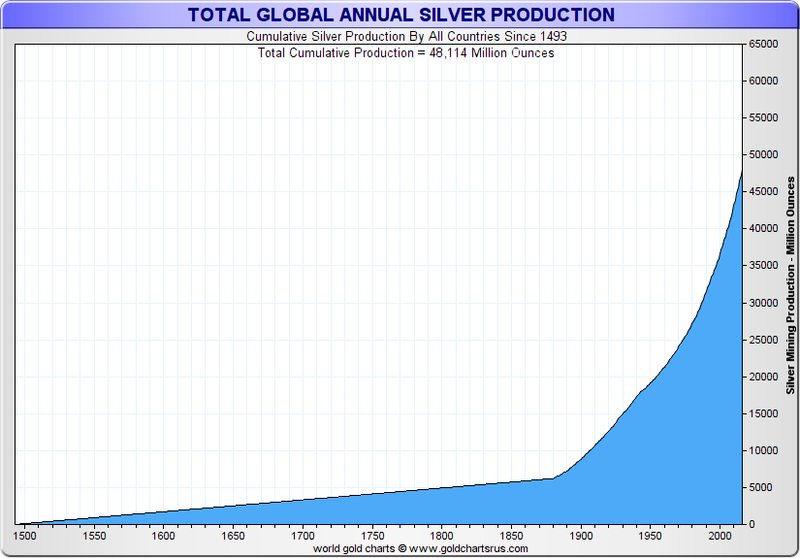 The total annual silver supply currently reaches around 1 billion troy ounces per year. 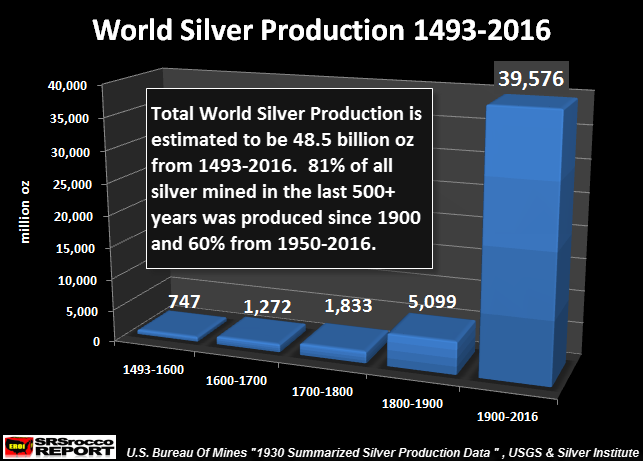 It could be argued that the true annual addition to the above ground silver supply is only around 800 million ounces per year. Silver mining operations yield about 80% of annual supply and silver scrap recycling yields about 20% of annual silver supplies. Respectively speaking, the nations of Mexico, Peru, and China produce the largest silver mine outputs in the world today. 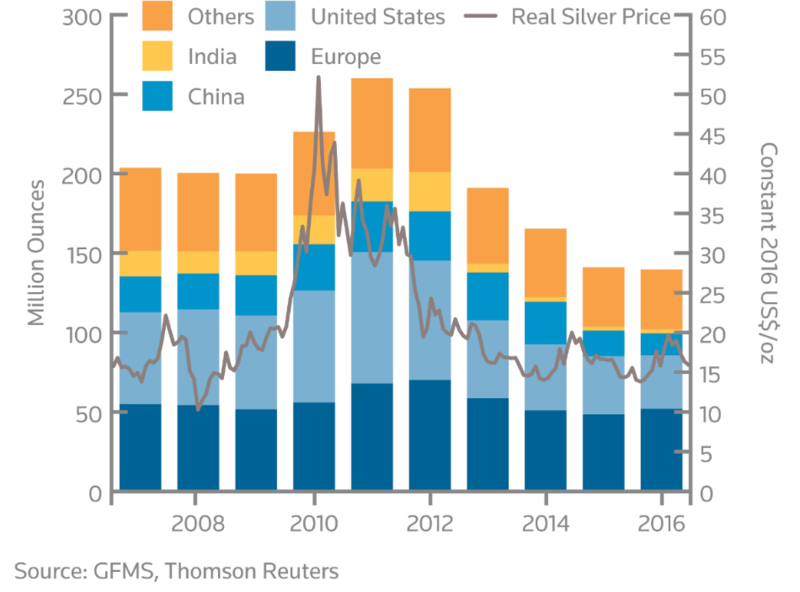 In total these three major silver mining countries bring over half the world’s fresh annual silver mine supply to market. 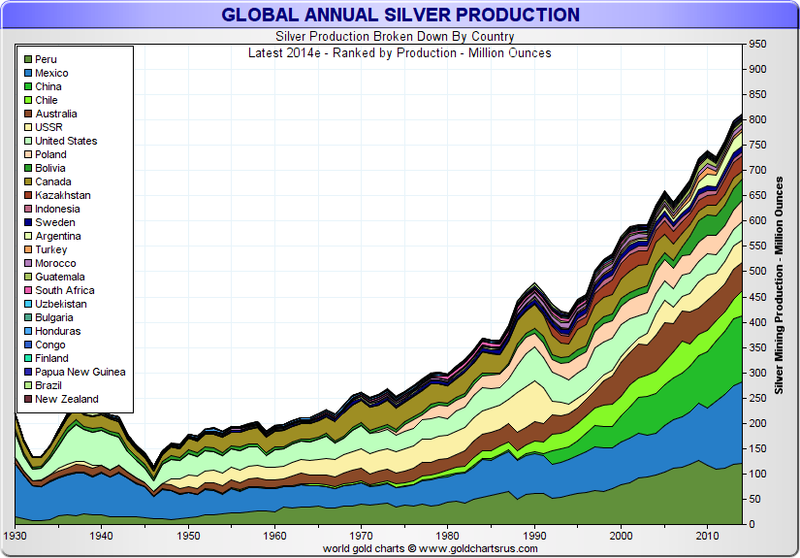 Top silver mining nations and respective mining company output data can be found here. Ever since the onset of the 2008 Financial Crisis, individual investors have substantially increased their physical silver bullion purchases and investment allocations. How does silver go from imploding stars to your personal silver bullion reserves? If you enjoyed this information, be sure to pick up our digital 21st Century Gold Rush guide right now for free.